Click link complete the external request form. An email confirmation will be sent confirming your request. An Events representative will review your request and either confirm your event or inform you if there is a problem. Until an Events representative contacts you, your reservation is only tentative. 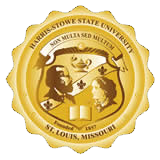 Once you your event is confirmed you will be required to obtain adequate liability insurance to protect Harris-Stowe State University, its agencies, its clients and the general public against any loss, damage and/or expense which may occur in any buildings, sidewalks, pathways, etc., that are property of HSSU. Proof of insurance must be submitted 10 business days prior to event. University departments can co-sponsor events with external organizations. Please read the Sponsorship Guidelines to see what qualifies, and what your event may cost.